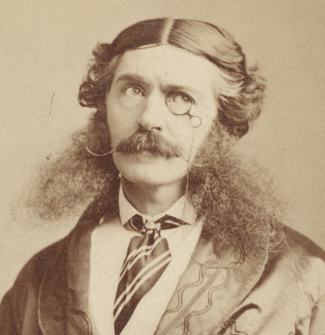 E. A. Sothern as the foppish and silly Lord Dundreary stole the show. His part was originally small, but his ad libs were received so well by the audience that his part was expanded. Our American Cousin wasn’t just the last play President Lincoln saw. It was one of the great commercial successes of its day. It made a star our of E. A. Sothern and cemented the reputation of Laura Keene, America’s first successful theatrical businesswoman. And 150 years later, the plot line still is still capable of capturing the imagination of a wide audience. — mcnyblog. 24 Feb 2015 in Culture, Drama, Humanities, Literature.